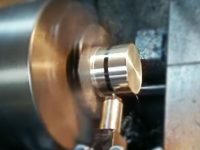 What is CNC polishing, and how to polish? 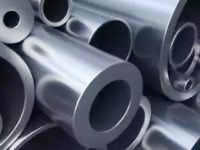 Polishing refers to the processing method that makes the surface roughness of the workpiece reduced by mechanical, chemical or electrochemical actions to obtain a bright and smooth surface. It is the use of polishing tools and abrasive particles or other polishing media on the surface of the workpiece modified processing. Mechanical polishing is a method of polishing a smooth surface by cutting or plastic deformation of the material surface to remove the convex part after being polished. Mechanical polishing generally USES the whetstone bar, wool wheel, sandpaper, and so on, mainly manual operation. Special parts, such as the surface of the rotary body, can be used by the turntable and other auxiliary tools. The workpiece with high surface quality may adopt the method of super fine grinding and polishing. Ultra-fine grinding and polishing is a special grinding tool. In the grinding and polishing liquid containing abrasive materials, it is pressed on the surface of the workpiece being processed for high-speed rotational motion. Surface roughness of Ra0.008μm can be achieved by using this technology. This method is the highest of all polishing methods. This method is often used in optical lens mould. Chemical polishing is to make the surface of the material in the chemical medium surface protruding part than the concave part of the first dissolution, so that smooth surface. The main advantage of this method is that it does not require complex equipment and can polish the workpieces with complex shapes, and many workpieces can be polished at the same time. It works efficiently. The key problem of chemical polishing is the preparation of polishing liquid. 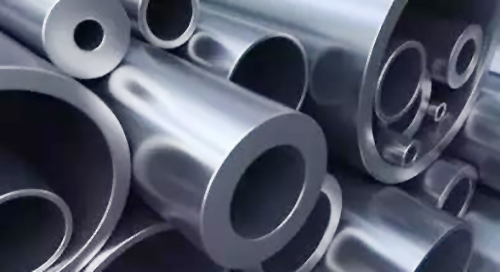 The surface roughness obtained by chemical polishing is generally 10μm. The basic principle of electrolytic polishing is the same as chemical polishing, that is, the surface of the selectively dissolved material is slightly protruding to make the surface smooth. Compared with chemical polishing, the effect of cathode reaction can be eliminated and the effect is better. The solution diffuses into the electrolyte, the surface of the material decreases geometrically, Ra>1μm. Anode polarization, increased surface brightness, Ra<1μm. The workpiece is put into the abrasive suspension and put together in the ultrasonic field, and the abrasive is ground and polished on the surface of the workpiece by the ultrasonic oscillation. The macroscopic force of ultrasonic machining is small, which will not cause deformation of workpiece. Ultrasonic machining can be combined with chemical or electrochemical methods. On the basis of solution corrosion and electrolysis, ultrasonic vibration is applied to stir the solution to separate the dissolved product on the surface of the workpiece, and the corrosion or electrolyte near the surface is even. Fluid polishing depends on the high-speed flow of the liquid and its carrying abrasive particles to flush the surface of the workpiece to achieve the purpose of polishing. Common methods are: abrasive jet machining, liquid jet machining, fluid power grinding, etc. Magnetic grinding and polishing is to use magnetic abrasive under the action of magnetic field to form abrasive brush, grinding the workpiece. This method has high efficiency, good quality and easy control of processing conditions. With suitable abrasive, the surface roughness can reach Ra0.1μm.